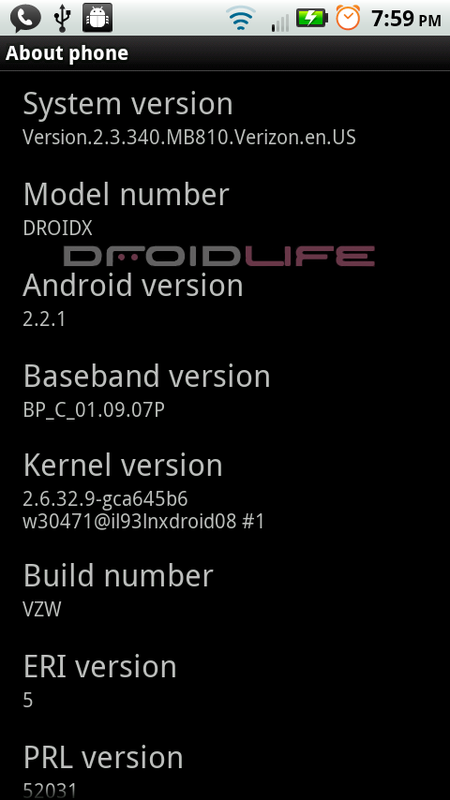 For those of you running the Droid X 2.2.1 (system 2.3.320) leak, you can now upgrade to the newest version 2.2.1 (system 2.3.340) with this system-only SBF file courtesy of MyDroidWorld. You will need RSD Lite in order to make this happen, but it’s well worth it if you want to be current . Again, this is for those of you that updated to the leaked 2.2.1 a couple of weeks ago and want to be on the official 2.2.1. If you are running something else, you should refer to this post. *WARNING* – RSD Lite is a powerful program that can actually brick your phone. Before attempting this, research everything there is to know about RSD Lite and SBF files. We are not recommending that you perform this task, but are simply providing information. You do so at your own risk. *For leak users stuck on 2.2.1 (system 2.3.320). 3. If your phone boot loops when RSD Lite finishes, you may need to factory reset. To factory reset: Battery pull, then boot into recovery (Home+Power then Search). Scroll down and choose the option to factory reset. 5. Enjoy the official 2.2.1. 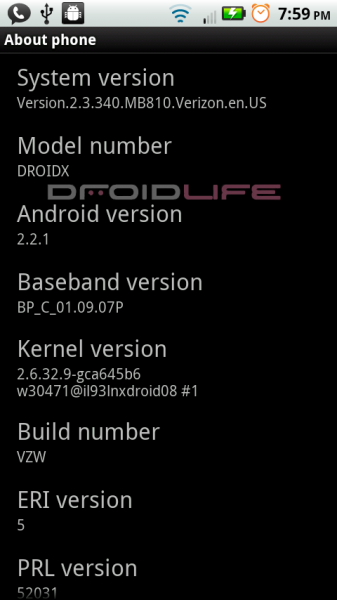 Huge thanks to MyDroidWorld for releasing this! You can find additional mirrors at their site.